The Sharif family has accused Prime Minister Imran Khan’s Pakistan Tehreek-e-Insaaf party of mistreating him, a charge the government denies. Pakistan’s former prime minister Nawaz Sharif may undergo heart surgery, The Dawn quoted his personal physician as saying. 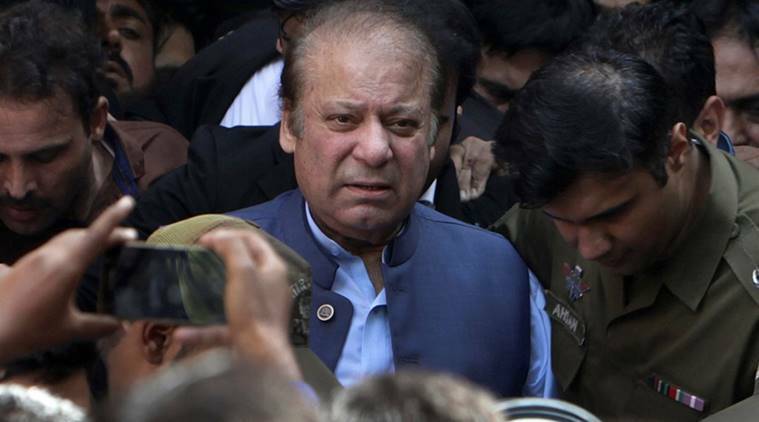 Sharif, 69, who has been serving a seven-year imprisonment in the Al-Azizia Steel Mills graft case, is out on bail due to his ill health. Sharif, who was examined by doctors of Aga Khan University at the Sharif Medical City in Lahore, has a serious heart complication and might need surgery if his angioplasty is not possible, personal physician Adnan Khan told reporters. Three-time premier, Sharif, who was disqualified from holding political office for life, has been suffering from a heart condition and kidney problems. The Sharif family has accused Prime Minister Imran Khan’s Pakistan Tehreek-e-Insaaf party of mistreating him, a charge the government denies. Sharif was sentenced to 10 years in prison in the Avenfield corruption case in July 2018 which was related to his properties in London. Later he was given bail in September. In December, the accountability court convicted him in the Al-Azizia graft case but acquitted him in the Flagship corruption case. The Al-Azizia Steel Mill case is related to setting up steel mills in Saudi Arabia allegedly with corruption money.